Hello Sunshine! Hello bicycle days! Hello pinwheels and pineapple! Hello to our favorite new quilt! 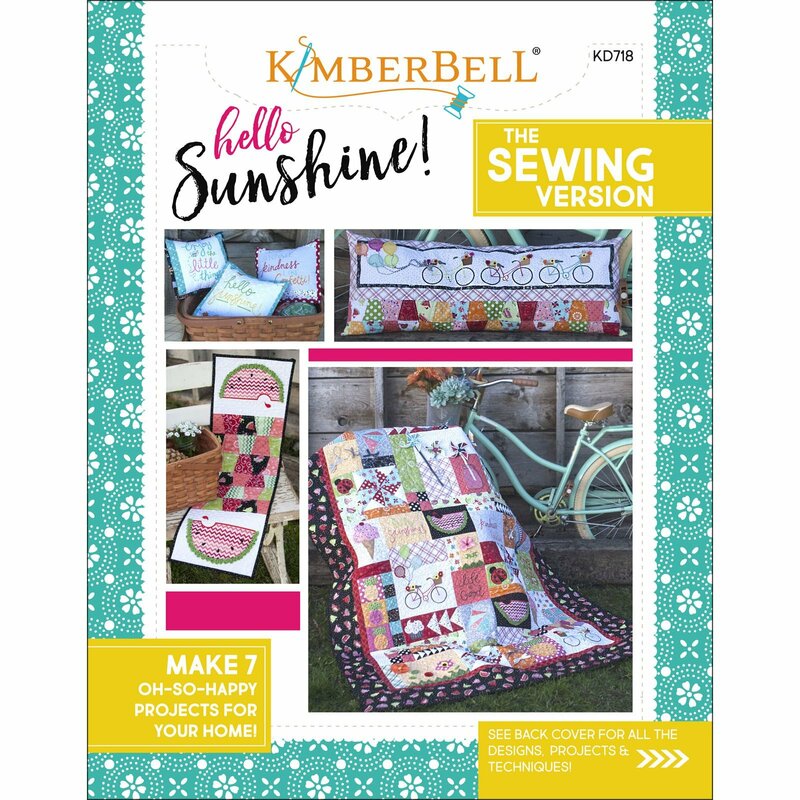 Instruction book feature dozens of designs and detailed instructions for dimensional embellishments like chenille, fringe and felt flowers, even pinwheels and Mylar balloons. Learn our easy method for prairie points, ruching, and piecing the double pinwheel block. And, Hello Six Bonus Projects! Happy Thoughts Bench Buddies, Summer Watermelon Table Runner, Pinwheel Wishes Wall Hanging, and Bicycle Bliss Bench Pillow.